As a child growing up in the northern part of the country, Deepavali was a bit of a strange festival. We had to wake up at 4 am, have a bath (an oil bath! ), wear our new clothes and burst crackers – at least one, said my grandmother – before the crack of dawn. And before we knew it, our Deepavali was over! And then the rest of the world started celebrating Diwali, and it went on and on and on. I clearly remember that our grandmother never let us go overboard with the crackers – she believed it was the best way to burn up a wad of cash – so it was just a handful of sparklers, pencils, flower pots and zameen chakkars, and the occasional seenuvedi (those little red noisy crackers) and Lakshmi Bomb! Now, I live in Chennai, where I should be at home with the brand of Deepavali my childhood memories are made of. But no, with the times, Deepavali has changed too.. No crackers (really, it cannot be NO crackers, but maybe no made-in-China crackers and no crackers made by children), no noise and air pollution, no sweets made in pure ghee, the list of ‘No’s is long. Everyone is talking about Green Deepavali, while my husband is talking about seeking the inner light within our souls! Satya, a working mother of two kids, says almost apologetically that they are not too green, because the children love Deepavali very much. We celebrate Deepavali quite traditionally! Kids get new clothes, plan some crackers but not too many to burst on two nights only, oil bath in the morning and exchanging sweets with family and friends. We also visit grandparents and great grandparents for their blessings! Kids debated whether to do crackers or not. They understand it causes pollution but they also love bursting crackers; “after all it is only one day!” said Vedant. They also felt they are contributing to someone’s jobs by buying crackers! They refuse “bombs” because it causes too much paper rubbish. And they limit how much they burst – “one seven shots, 10 rockets, 10 flower pots…”. They also prefer not to buy crackers that produce too much smoke – like red or green sparklers, cobra, pencil, crackle sparklers, etc. Architect Deepa B, mother of two boys, finds herself in a dilemma. Over the past few years I’ve been torn between imposing my “green Diwali” ideas onto my boys, and letting them have their fair share of Diwali fun. How could I deprive them of the anticipation, the lights and sounds, the thrill of the BOOM! ? After all, at their age, the word “green” meant just a colour to me. What’s a Diwali without noisy crackers? So while they lit a few noisy ones (with my help, I admit), I tried to use the time fruitfully to teach them a few life lessons instead. Safety. (Not) Playing with fire. This year, Diwali is going to be very different, I can tell. And we haven’t imposed or preached – at all. This poster was made by our little boy at school, and now public accountability and peer pressure shall deter him from the noisy indulgence. I hope this lasts, fingers crossed. Pets, birds, neighbours and wallet will all have a Happy Diwali now! A bunch of us took an oath in college in 1994 or 1995 that we wouldn’t indulge in crackers henceforth. I have stuck to my resolve since then- actually the child is also not interested in them. We don’t buy them at all. Our most memorable Deepavali (the festival of excess as I like to call it disdainfully) was when we both volunteered to sort through some donated books and toys at the Goonj warehouse back in 2009/2010. I think volunteering and donating to the needy are a great way to spend this festival and am looking forward doing a bit more in that direction in my future years. “The first step to make sure our enjoyment of Deepavali isn’t unpleasant for elderly people, young children and the animals around our neighbourhood is to think before we act. At our household, we have reduced our purchase of fireworks to include mainly colourful sparklers or glittering sky showers – the noisy and jarring 1000-walas+ are nonexistent! Plus, when we want to burst that occasional bijli-vedi or a rocket, we do it on our apartment rooftop to muffle sound. Lastly, we make sure our dog is well settled inside our house, our fireworks are not near trees with birds and our street dogs are safely hiding before we begin anything. I believe that the best celebration of this beautiful world is probably to do nothing at all – that way all festivals will be green. To that extent we will use less of everything. I can take the liberty of adding on Aarti’s behalf that she would probably use this occasion as one more opportunity to give back to the less fortunate. The folks at Nizhal have been working hard to raise awareness about protecting trees during our festivals. They go around asking shopkeepers to remove the heat generating light strings from the trunks of trees, and asking people to desist from buying crackers which give out noxious fumes, causing air pollution. I feel ‘Respect’ needs to be the baseline in everything we do. Respect for Nature, for trees and plants and animals and birds, also the land and water and air around. 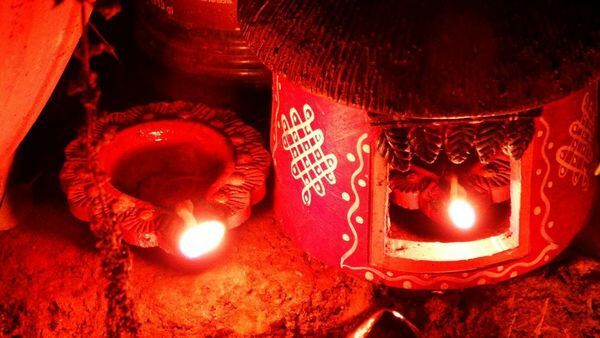 Then whether we choose to celebrate a festival, culture or tradition, we will tread carefully..because ultimately it will affect each one of us. 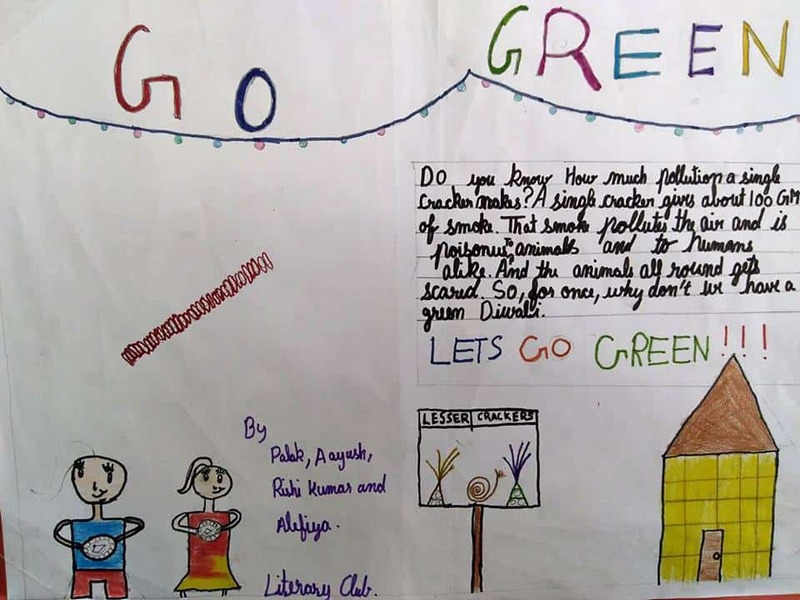 As parents of an Ashoka Changemaker school, we not only know that bursting crackers endangers our children’s future, but we also know that it rests upon us to bring about a sustainable change. So let this year too be a cracker-free Deepavali, filled with joy and and also light, but only from a Valakku. So there, so many perspectives to bind us all together, in a lovely nation-uniting weekend of festivities! At the close, I cannot help putting on my civic activist hat, to request all my friends, relatives and countrymen (and women) who step out for fireworks on the road, to please be careful, for themselves and for fellow users of the road. And please spare a thought for the workers who will be coming this evening and tomorrow morning to clean up after us – try and sweep up all the debris and paper into small piles at the roadside so it is easy for them to collect it. 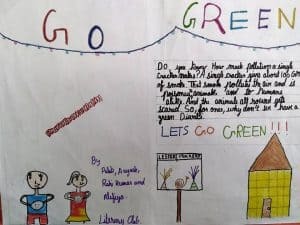 Daan Utsav volunteer Meera Rajagopalan ponders upon the invaluable memories and takeaways from the recently concluded festival of giving. 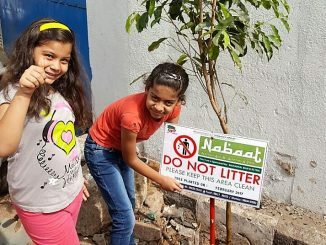 Inspired by the Kotturpuram Tree Park and the guidance of the Nizhal team, members of the Dawoodi Bohra community start NABAAT, a movement to plant and nurture trees. Would you like to honour and serve Chennai’s cleanliness warriors? 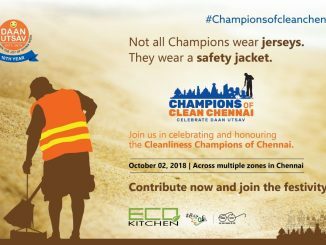 An initiative to honour and feed the conservancy workers of Chennai, brings a diverse group of NGOs, volunteers, corporates and individuals together, as they try to pull off a big logistical exercise on October 2nd. Would you want to join in? Catalysing better cities by empowering citizens with the right knowledge and understanding. What does young Chennai expect from its elected leaders?